Imagine this: Sitting in your living room in Shanghai or Beijing, you realize that the final Game of Thrones season is a week away. You decide to splurge on upgrading your entertainment system so you can host watching parties every week. You post a request for recommendations on a WeChat music and entertainment forum, and narrow down your choices to three brands. Searches on the three brands reveal that two of your favorite musicians and one of your favorite actors recommend each brand. Videos show them listening to music and watching last summer’s blockbusters in their decked-out living rooms. You need some face time at an electronics store to help with the decision, so you pop in to the nearest Suning store where a number of brands have set up customer experience centers – soundproofed “living rooms” in the store where you can select a few favorite films and music, dim the lights, recline on the latest ergonomic lounge chair and indulge in snacks while assessing the electronic brands recommended by friends and the famous. Finally, decision made, you scan the QR codes on the equipment with your WeChat app and the order is submitted to the retailer, paid for through your Alipay account and you head off, no bags in hand. The next day, the doorbell rings and a team of technicians brings in your new equipment, boxed and wrapped. They unwrap your purchases, set up all the electronics, test them, break up the boxes for recycling and clear out after they have shown you how everything works. By the way, when you ordered the entertainment system, you got a coupon via WeChat for the ergonomic lounge chair, and they delivered that as well. You’ve only lifted a finger and now will be the envy of friends and family. This is the road China’s consumer market is moving down, and moving quickly. Consider the sales numbers on Alibaba’s platforms Taobao and Tmall on the world’s biggest e-commerce shopping day, Singles Day (November 11), in 2016, US$17.79 billion within 24 hours.1 Online sales figures for big U.S. shopping days such as Black Friday and Prime Day are in the billions, but still in single digits. These numbers show just how dynamic, and potentially competitive, retailing in China is likely to become. After all, the entertainment system example is not yet a reality, but something both online and offline retailers are working toward that will push them into not just online-to-offline (O2O) technology solutions, but omni-channel solutions involving social media, supply chain optimization and efficient fulfillment options. Alexandra Tirado, CEO of Atlanta-based consulting firm Fortuna Holdings International, which includes China e-retailer JD.com as a client, says that this type of “seamless shopping experience and white glove service” will be the key to success for China’s online and offline retailers. In the online-to-offline conundrum, China’s e-commerce and traditional offline retailers are “looking for ways to connect the online experience to the physical store, and figuring out how to blend technology and the online shopping experience,” says Tirado. The omni-channel ecosystem, including efficient use of big data, virtual reality and artificial intelligence, dazzles the imagination and the senses. In reality, there are a few hurdles for retailers to overcome, the main one being the competition between the big e-commerce players including Alibaba’s Tmall and Taobao and JD.com with the brick-and-mortar stores like Gome Electrical, Suning and others. Thus far, we have looked primarily at retailers selling electronics and white goods, but the current and pending retail eco-systems can apply to retail ranging from groceries to clothes to services. Most brick-and-mortar retailers are still struggling to adapt to the disruption of their markets over the last 10 years by China’s big technology players, commonly called BAT or BAT-J, to refer to Baidu (search engine), Alibaba (retail, fintech, supply chain), Tencent (fintech, social media) and JD.com (retail, fulfillment). The worldwide focus on the big technology players, with their successes in e-commerce, fintech and social media, tends to cast a lesser light on smaller players, such as micro-retailers and brand-direct e-commerce, as well as traditional brick-and-mortar players. Yet they also play a major role in the world to come. Perhaps recognizing that adapting to the new e-commerce ecosystem was the only way forward – 52 percent of consumers in China prefer to shop online according to PwC, and 80 percent are willing to pay using mobile payments3 – traditional brick-and-mortar retailers have embraced technology primarily through working with the big tech players, and by developing online retail and finance options of their own. In 2015, Suning accepted investment from Alibaba of US$4.56 billion and itself invested in Alibaba. The tie-up is widely regarded as part of Alibaba’s online-to-offline strategy, and Suning’s plan to develop better technology support. Gome, meanwhile, prefers to go it alone. The company is developing its online platform in-house. It acquired com in 2012, and integrated it into gome.com.cn for better sharing of back-end systems, and thus better data analysis capabilities. Even foreign retailers are trying to stay in the game, sometimes with mixed results. 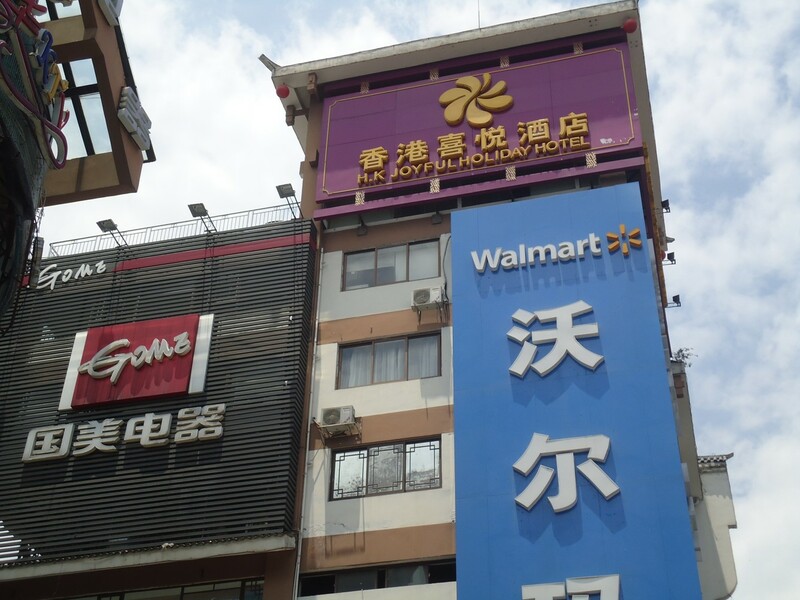 U.S. retailer Walmart sold its China online retailer Yihaodian to JD.com in late 2016 for a five percent stake in JD.com. Responsiveness to customers is the key to customer engagement for retailers. Both traditional and e-commerce retailers are using technology to reach new markets, employing big data, and enhancing that reach with physical stores. “Having well-placed physical stores could become an advantage for existing retailers if they are able to integrate an innovative technology play that engages consumers in an attractive way,” says retail analyst Mavis Hui of DBS Vickers Securities. When retailers are able to parse data about customers according to location, income and brand recognition, then link that to an in-store experience, they are engaging customers before they even arrive in the physical store. Traditional companies have an advantage over pure technology players in that they know their markets and consumers already. By striking out on its own, rather than with a big tech partner, Gome’s ambition is to create a retail ecosystem leveraging the company’s market knowledge and technology. Apart from expanding into the after-sales service market with an Internet of Things (IoT) strategy geared toward smart homes, Gome also has decided to delve into financing solutions for the upstream supply chain and providing trade support, strategies designed to enhance product quality, delivery and fulfillment speed. For most traditional players, in-house technology development has not been the preferred strategy, and Gome’s new business model is too new to declare it a success or failure. There are, however, smaller players such as clothing brand Ruhan E-commerce that have used their own technology plays to improve their business. Ruhan created the most prevalent retail trend in 2014, the “Internet star” when the company slashed its marketing and advertising budget and contracted with a young model to influence her followers to purchase their clothes through her posts and videos candidly assessing the clothing and accessories she used. Not only did Ruhan increase sales, but its Internet star also started a trend that other retailers have followed. Aside from the phenomenon of Internet stars, other retailers rely on Key Opinion Leaders (KOLs), such as the experts in the WeChat electronics forum mentioned in the example at the beginning of the article. From these initial experiences already in play, companies are developing consumer experience strategies using Virtual Reality (VR) and Artificial Intelligence (AI) to enhance consumer experiences. A VR experience scenario might involve a consumer wearing a VR headset at home to browse a store. Brands and retailers would then use AI to track where the customer’s eyes stopped the longest, or what his or her expression revealed during interactions with products. Upstream supply chain and last-mile delivery may be the most exciting but least visible impacts technology will have on retail. Smart companies are looking for a quality play, and to most that means developing an ecosystem, which the big tech companies have done through their long list of affiliates. For Tencent that goes from social media to finance to healthcare and retail, and for Alibaba it means going from e-commerce to finance and then delving back into e-commerce and retail via its partnership with Suning, for example. Gome’s new subsidiary Gome Fintech has a different ecosystem in mind, the supply chain. It aims to bring financing solutions to the upstream supply chain, where suppliers of products have difficulty getting financing from state-owned banks, development loans, factoring and trade support – all areas largely ignored by banks. Gome has the expertise to impact the supply chain in these areas, as well as make a difference in streamlining the supply chain through enhancing quality via stable supplier financing and leveraging the company’s brick-and-mortar stores for last-mile delivery options or click-and-collect scenarios. PwC notes another fulfillment issue solved by the use of block-chain data.7 For many years, luxury goods retailers have struggled with the problem of ensuring products they sell online are authentic. It was one area in which consumers evidenced a lack of trust in purchasing online. However, with block-chain data, products can be tracked from the factory to the consumer’s front door, authenticating not just the product, but also the entire supply chain. For most retailers, both brick-and-mortar and e-commerce, a key path to the future is through partnering with existing technology companies for the latest in technical advances and for investment. In speeches over the last year, Alibaba’s founder Jack Ma has been calling for both technology and traditional companies to improve their research and implementation plays for big data, cloud computing and artificial intelligence. Players not traditionally in e-commerce or with a strong technology backgrounds have heavy lifting to do in terms of investment, financial as well as talent costs, in making technology aspirations reality. Partnering with one of the existing tech players, or subcontracting to a technology partner (TP) is an attractive proposition for scaling and financial reasons. But the retail industry has seen advances with privately owned and more innovative players like Gome and Suning making moves in the past 18 months in O2O sales and supply chain financing options. While retail and its supply chain appear to be at a technology inflection point, it is clear that the race to adopt technologies involves identifying the best technology solutions to satisfy customer needs and demands. Currently based in Atlanta, Katherine Peavy spent 15 years in China working in the risk management field on hundreds of due diligence cases and fraud investigations. She is a founding partner of the consulting firm Cross Pacific Partner (www.crosspacificpartner.com).